This summer I have been doing a LOT of traveling. In May I attended a study abroad trip to London and Paris (check out post on 15 things to do in London on a Budget here!) and just recently I got back from Washington state with my family. In the midst of all this traveling, I have finally mastered what my must-haves are to bring in my carry on bag. Two things that I always bring with me are my cell phone and laptop. Especially on a long flight, these things can come especially in handy. (That is when I’m not taking a snooze.) 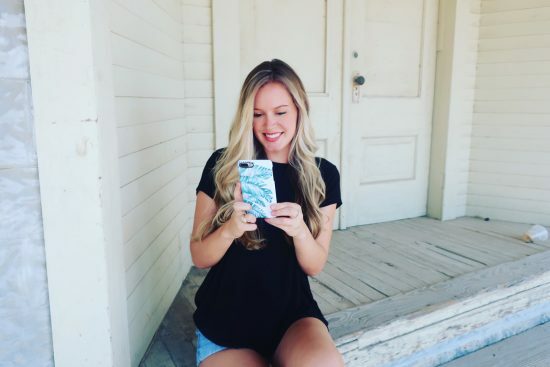 I always ensure that I have a good, sturdy case on my phone when traveling as I am the clumsiest person to step foot on this planet and drop my phone about 10 times a day. I got the iPhone 7 plus in January, and ever since then I have been in the market for a cell phone case I truly loved. 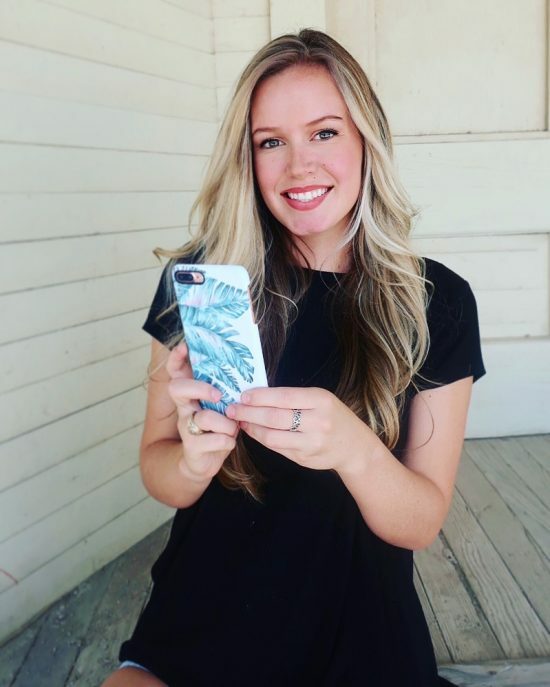 When caseable reached out to me and offered to send me a case, I checked out their site and was hooked! 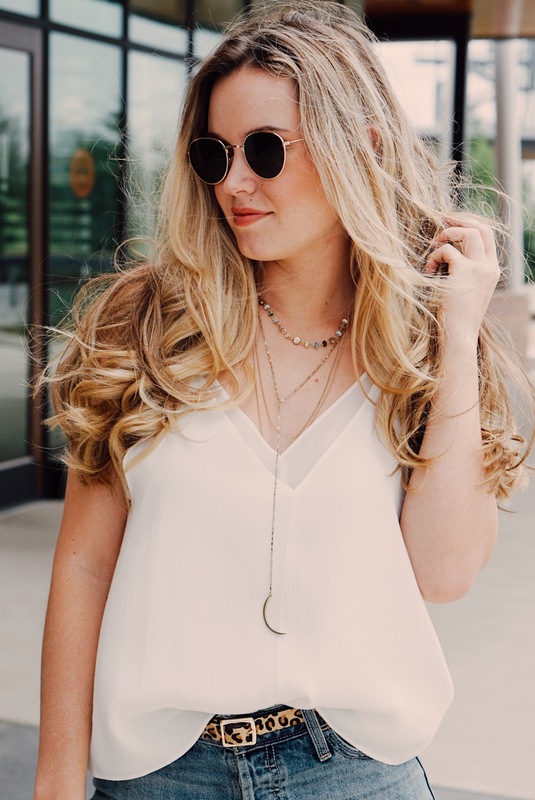 Caseable offers hundreds of different designs so you are able to completely customize your look to exactly what you want. 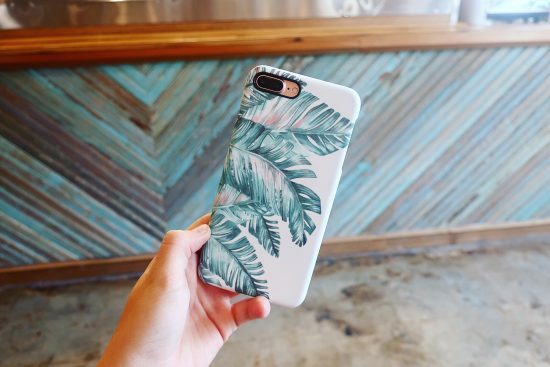 You even have the option of creating your own design – that means you can upload any of your own pictures or custom creations and have a one of a kind case. 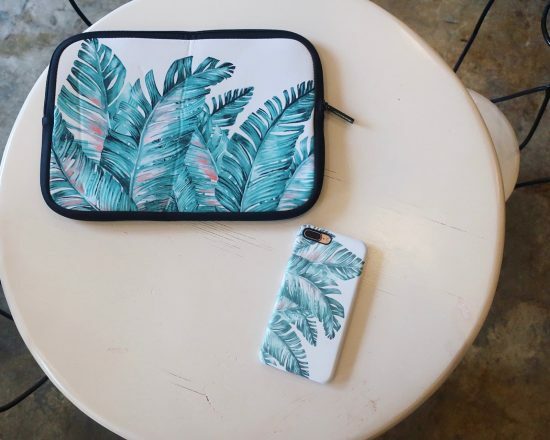 I loved the Tropical Blue design and thought it was perfect for summer! The laptop case is very durable and ensures extra protection when I am stowing my computer in my carry on. 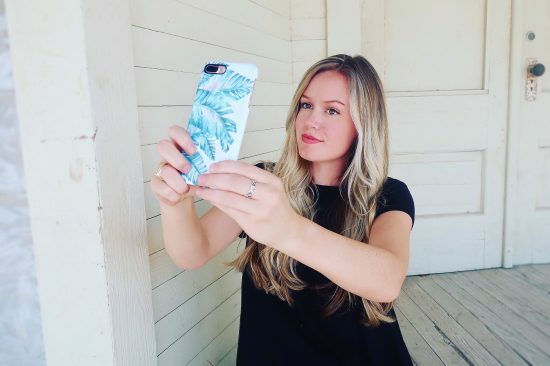 Caseable also offers cases that have a handle and adjustable strap if that is more up your alley! Keep reading until the end of this post to get $5 off your first purchase. For comfort: Small blanket, Pillow, Cardigan/Sweater. Toiletries: Tooth brush, Deodorant, Hand Sanitizer, Face Wipes. You’re screwed without these: Wallet, Cash, Passport, Medication. Just for Fun: Book, Pen, Notepad, Headphones, Portable charger. Snacks: Water, Protein Bars, and Trail Mix are my go-to’s!